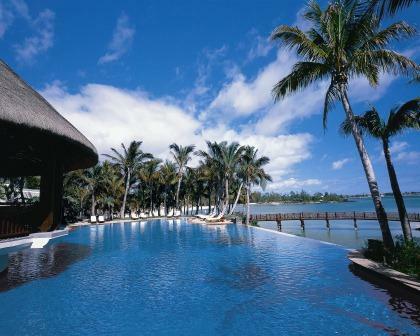 Le Touessrok is one of the world’s great resorts – the height of cool, modern elegance, imbued with the warmth of tropical Mauritius, truly one of the Leading Hotels of the World. 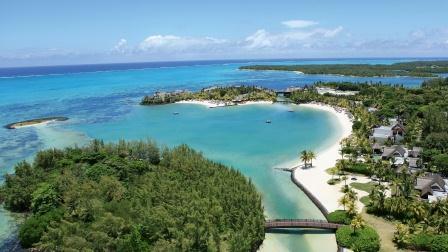 It lies on a beautiful stretch of sandy coast, looking out over tranquil Trou d’Eau Douce Bay. Out in the lagoon are two beautiful islands, including Ile aux Cerfs with its spectacular 18-hole championship golf course. 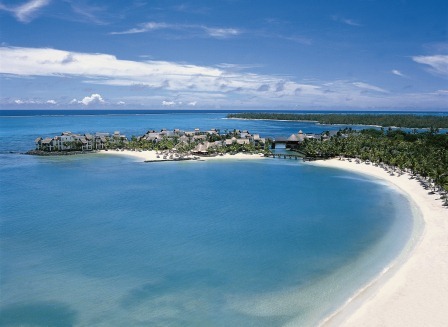 Stunning Le Touessrok is a firm favourite with TravelLab and our guests. With sublime luxury throughout this truly is a perfect retreat with breath taking views, attentive staff, award winning restaurants and fabulous accommodation, what more could you ask for? Go ahead and treat yourself to a holiday in paradise! Located on the east coats of the island, approximately one hour from the airport. 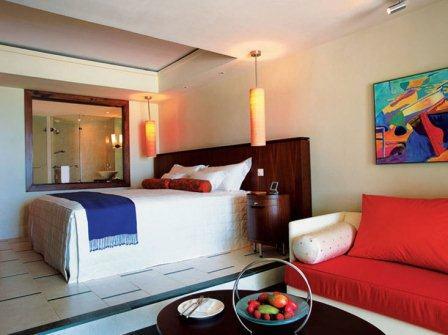 Junior Suites are in the Frangipani Wing feature designer style, with plasma screen TVs and egg-shaped baths. 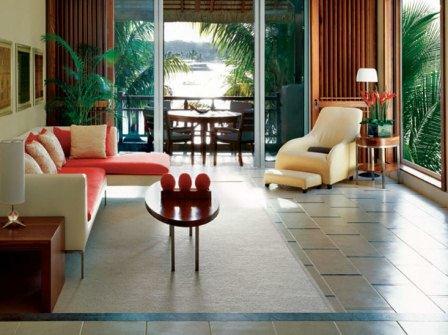 Junior Suites in the Hibiscus Wing are more classical in style. 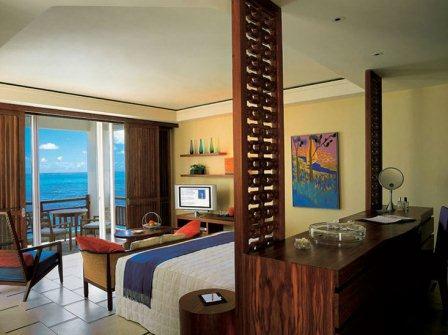 Ocean suites have a separate lounge, private dining room and two secluded terraces leading off the master bedroom. They may interconnect to an adjacent Junior Suite – perfect for families. The villas are prepared to the personal preferences of guests. Each has its own personal manager, on call 24 hours a day, who arranges special services, such as excursions, private dining and spa treatments. All villa have the very latest technology in-room multimedia entertainment systems, satellite television, DVD/CD player, internet/email access, hair dryer, mini bar, 24-hour room service, safe and in-room business services (multi-adaptor, fax/computer hook-up, modem, phone-jack and three-phone, two-line communication system). The main dining room on three different levels presents features nine different cuisines – Mauritian, Indian, Middle Eastern, Chinese, Thai, Japanese, Spanish, Italian and French, with eight spectacular, open kitchens, where you can see your breakfast or dinner being prepared. 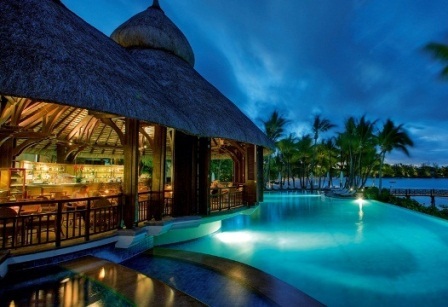 The beach restaurant and bar on the shore of Trou d’Eau Douce bay is built from wood and thatch with an Asian-inspired interior, and presided over by ever-smiling and welcoming figure of Barlen himself. The focal point of this enchanting restaurant is the open kitchen with tandoori ovens decorated with mother of pearl and producing varieties of Indian bread, appetisers and main courses. Chef Ramesh Bundi, with the help of his dedicated team, has created a brilliant menu. The Sega Bar occupies the centre stage at the resort’s main pool, and is the ideal spot throughout the day for refreshing drinks, tropical cocktails and light snacks. On the resort’s romantic ‘desert island’ of Ilot MangÃ©nie, fresh local food and drinks are served beachside under the trees. 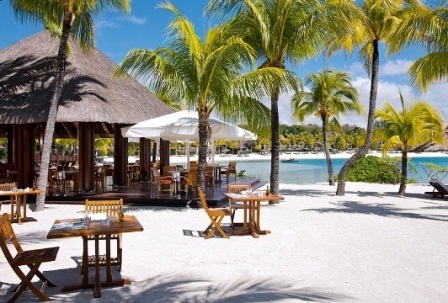 During a day of water sports or relaxing on the beaches of Ile aux Cerfs, lunch is provided at the relaxed, barefoot restaurant Paul & Virginie.